Just because mathematics involves the manipulating of numbers does not mean that you can forget your language skills. Maths is so much more than just numbers. Maths problems contain heaps of language concepts such as before and after (time concepts), 1st 2nd 3rd (sequential concepts), biggest/smallest (comparatives) and so much more. As you progress through school, maths problems are presented in a language problem. Kids need to understand what the question is asking in order to figure out what calculation needs to be completed. 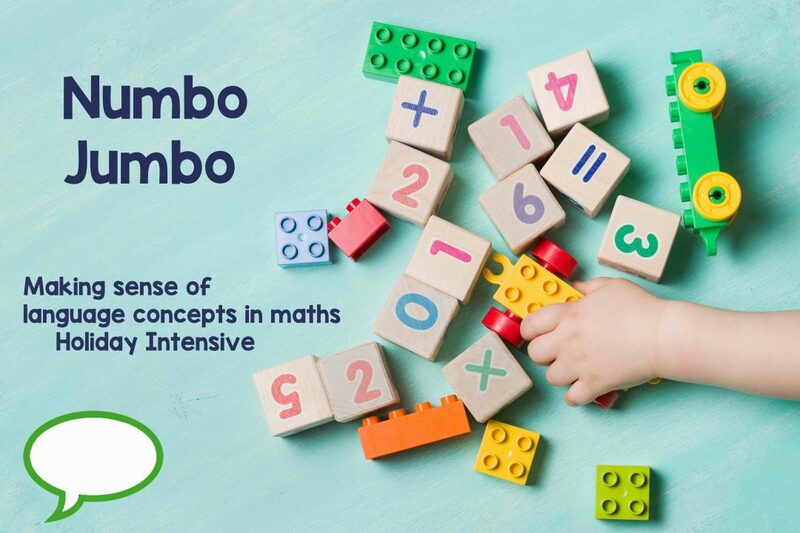 This new holiday intensive program focuses on language concepts present in maths.